Here’s a great little single layer shrug with princess lines. Wear it over a tank top, sleeveless dress, or long sleeved t-shirt. Make it out of dressy fabric for that party dress, knits, or wovens—it’s great for all types of fabrics. 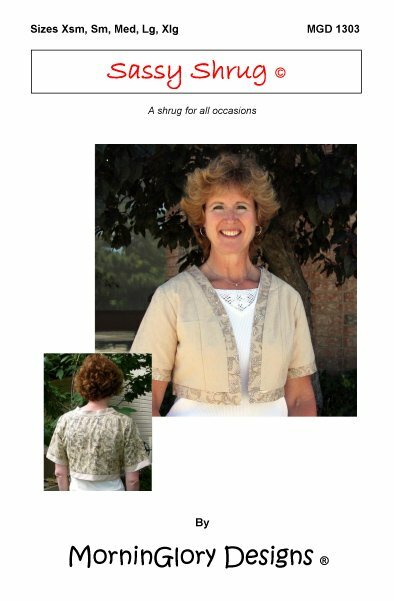 Sizes Xsm -Xlg included MGD 1301 Appropriate for beginning sewing skills.